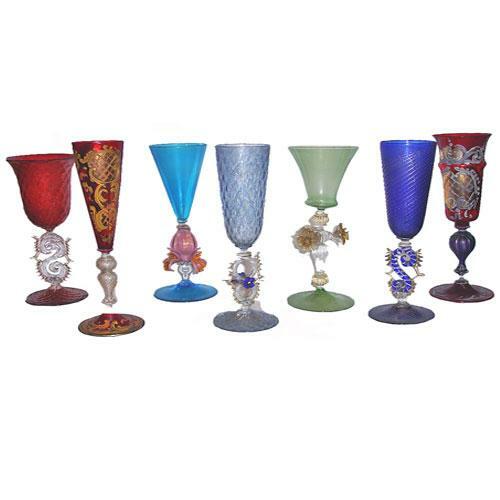 A Set of Seven Murano Crystal Stemware Goblets, - C. Mariani Antiques, Restoration & Custom, San Francisco, CA. Vary: Approx. Height 10 1/4"; Diameter 3"